The Sema is a 700-year-old ritual or a rite of communal recitation which combines the poetry of Rumi, Turkish classical music, chanting from the Koran and the whirling of the dervishes. It was traditionally performed in the semahane. This was the name given to the place where it was held. It symbolized the attainment of the various levels of mystical union with God and of absolute perfection through spiritual fervor. The whirling dervish is the icon of the Mevlevi order of Sufism, a branch of Islam that is based on the teachings of the mystic poet Rumi. In addition to the fasting, praying and study of the Koran that marks the typical practice of Islam, a Sufi partakes in zikir, or “rememberence”, extra practices of which the whirling ritual is the most important. The sheik is the representative of Mevlana on earth. From the sheik’s animal skin garment extends an imaginary line across the floor of the chamber which is regarded as the cosmic guide to the ultimate truth. The dervish wears a white coat over a long white skirt, which represents his burial garment. These are covered by a black cloak, which represents his tomb or worldly attachments. The conical brown or white felt hat represents his tombstone. There may be a small difference in the sheik’s clothing. The ritual starts with a communal recitation followed by a recital of the flute. Wailing of the flute expresses longing for the ultimate. They let fall their black cloaks to symbolize their escape from the tomb and readiness for God. Before beginning to whirl, the dervishes bow to the sheik. They bow to one another and move in three rotations to symbolize resurrection and spiritual rebirth. Then they begin to turn slowly. Right arms are above the body palm facing upward whereas left hands face downward. This symbolizes that what they get from God’s grace and blessing, they pass on to the world. The dervishes begin to move faster and faster to summon the divine. According to Mevlana, with the Sema, dervishes can reach out and touch the “ultimate”. Dervishes claim that repeating the Islamic name of God (Allah, Allah, Allah) with every revolution reminds the semazen (whirling dervish) of the Rumi tenet: “Wherever you turn is God”. It is this that keeps them from getting dizzy, losing their balance or knocking into one another. It takes at least a year for a dervish to learn how to whirl. The dervishes are everyday people; students, workers, professors, etc. They can have families too. Is this a mystic order? Yes, the Mevlevi order of whirling dervishes is a mystic group whose members are followers of Mevlana Celaleddin Rumi, a great Turkish poet and mystic. The brotherhood is based in Konya, where its founder is buried. Mevlana was never the head of an order, and the brotherhood was not established by himself but by his followers and devoted companions. The order derived its essence, rites, moral code and discipline from the mystical path first shown by Mevlana. It was a synthesis of spiritual love attained by a combination of music and whirling which was considered to be the basic requirement for the spiritual devotion. In the western world he is commonly known with his last name, “Rumi“. His full name is “Mevlana Celaleddin Rumi”, and in Turkey he is rather known with his first name, “Mevlana”. 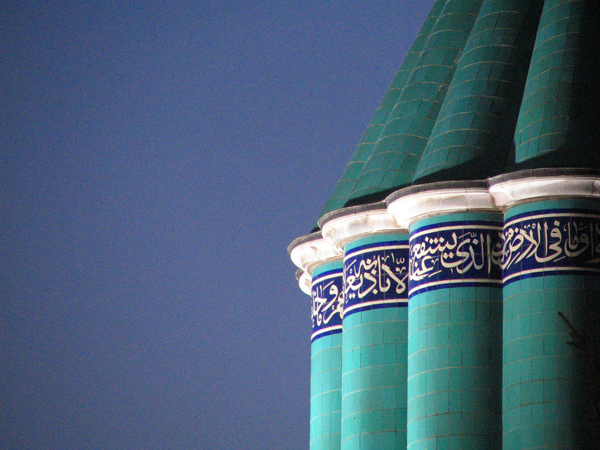 Mevlana was born in 1207 in Balkh, Afghanistan. His father, Bahaeddin Veled, was a distinguished teacher who, because of his great learning, had been honored with the title of Lord of Scholars. Possibly because of the threat imposed by the approaching Mongolian armies, Bahaeddin decided to take his family away from Balkh. They went to several places and after staying here and there, Bahaeddin felt drawn to Anatolia and came to Karaman in 1221. There they stayed for 7 years and Mevlana was married in 1225. Alaattin Keykubat, the ruler of Konya, implored him to come to Konya. Bahaeddin finally acceded to the sultan’s request in 1228 and he taught in Konya until his death in 1231. Mevlana took his father’s place and quickly established a reputation for scholarship. He had an extensive understanding of all aspects of philosophy and was an avid reader of the works of classical authors. One day in 1244, he met a ragged dervish who asked him a number of searching questions. This was the man known as Shams Tabrizi. Shams and Mevlana quickly became close friends and spent days and weeks closeted together in philosophical discussion. Mevlana left his teaching and appeared rarely in public. This caused jealousy and anger among his students and friends who believed that he had been bewitched by an evil sorcerer. In 1246 Shams disappeared as suddenly and as mysteriously as he had appeared. Mevlana became crazy and wrote poems about the separation of Shams. After long inquiries he finally learned that Shams was in Damascus. He wrote him letters begging him to return. Shams returned and their friendship and discussions resumed. In order to draw him more into his family, Mevlana offered his adopted daughter to Shams in marriage. However, one night in 1247, Shams disappeared for good. He was most probably murdered by his enemies. Mevlana could not be comforted. He gave himself again to writing poetry about Shams. 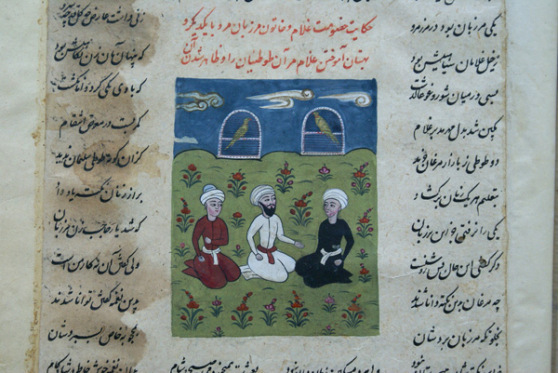 This time it was Husameddin Celebi who helped him to continue his philosophical speculations. He inspired him to write his greatest work, the “Mesnevi”. It was a collection of 25,600 poems in 6 volumes. In 1273, Mevlana became sick and people around him knew that he was dying and they cried in sorrow. He told his friends that death was union with God and he was longing for this union. Finally he died on December 17, 1273, was buried in Konya, and a tomb was built upon his sarcophagus. How about Rumi’s views and his philosophy? Mevlana was not a man of reason, he was on the contrary a man of love and affection. His aim was unification with God. According to him God could not fit into the universe but fit into the heart. Therefore we have to tend to the heart and not to reason. Heathen, fire-worshipper, sinful of idolatry, come. Instead of dealing with scholars of the time, Mevlana tended towards simple people like Hüsameddin Çelebi who was regarded as ignorant by others. According to Mevlana, a scholar was like a person carrying a big sack of bread on his shoulder. But, he asked, what was the maximum number of loaves they could eat?